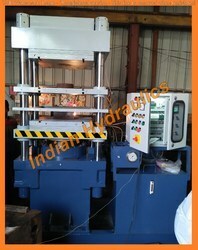 Our organization has come up with an extensive and paramount quality array of Pillar Hydraulic Press. This offered array is designed with the assistance of best tools machines and tools. They are pillar finished and available in many specifications. They are tested to keep it best. They are used in making hydraulic purpose. 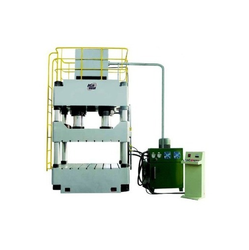 Our organization has successfully expanded its business in market owing to the offered elevated quality range of Four Pillar Hydraulic Press Machine.